Prawns and okra make a great combo, commonly cooked together in a curry or stir-fry. 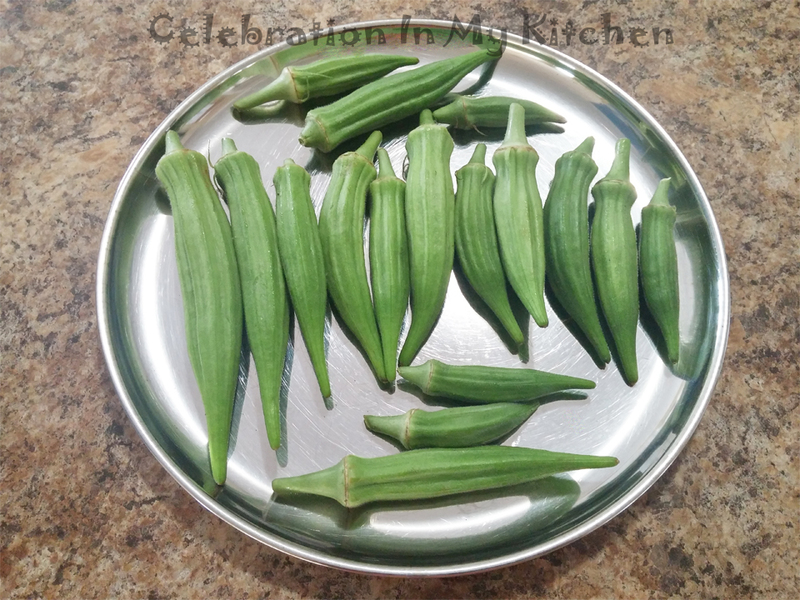 During the last two months of summer, John kept giving me fresh okra from our garden. 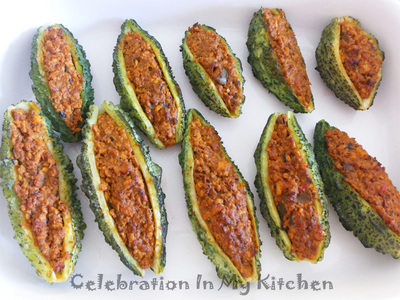 Having stuffed an earlier batch with coconut (indicated below), I wanted to fill the fresh ones with something more spicy and zesty. The popular recheado masala came to mind, which I combined with prawns. 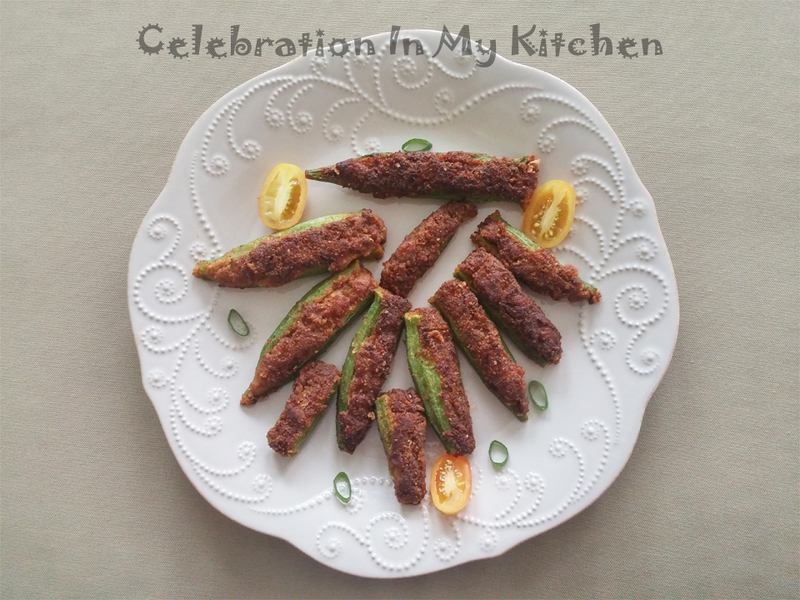 Once filled and fried, the okra were just amazing. It left me speechless and all I uttered was "Wow". The recheado masala had a perfect balance of spice, sour and a touch of sweetness. It can be prepared in advance and refrigerated. 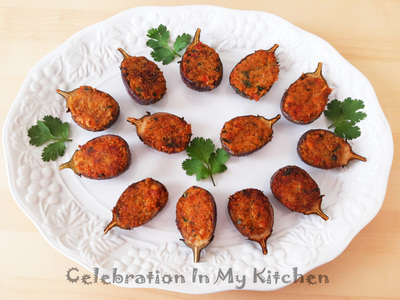 Inclusion of prawns with an onion definitely enhanced the flavour of the filling. 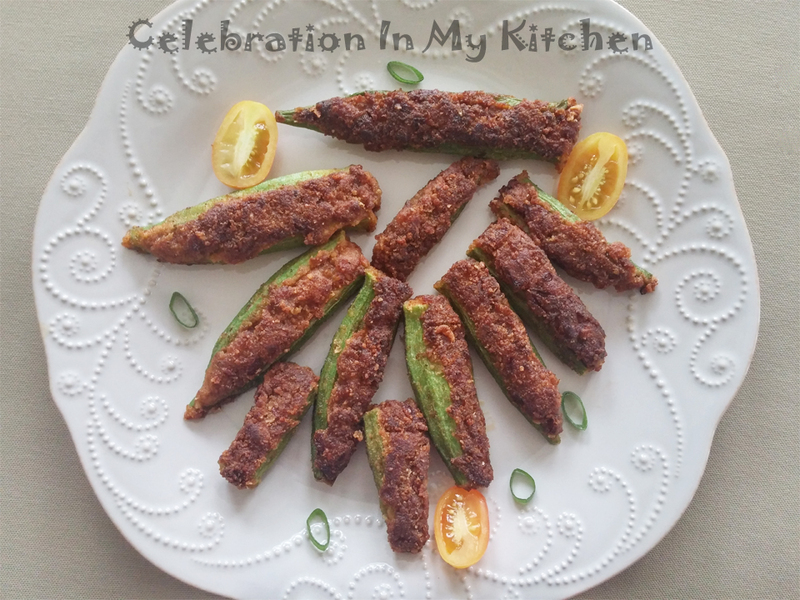 You can customize to go all vegetarian by stuffing the okra with just the masala or include the prawns, which made the filling absolutely delicious. 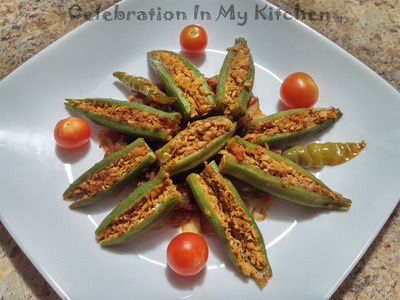 These stuffed okra can be served as a starter or with the main meal. 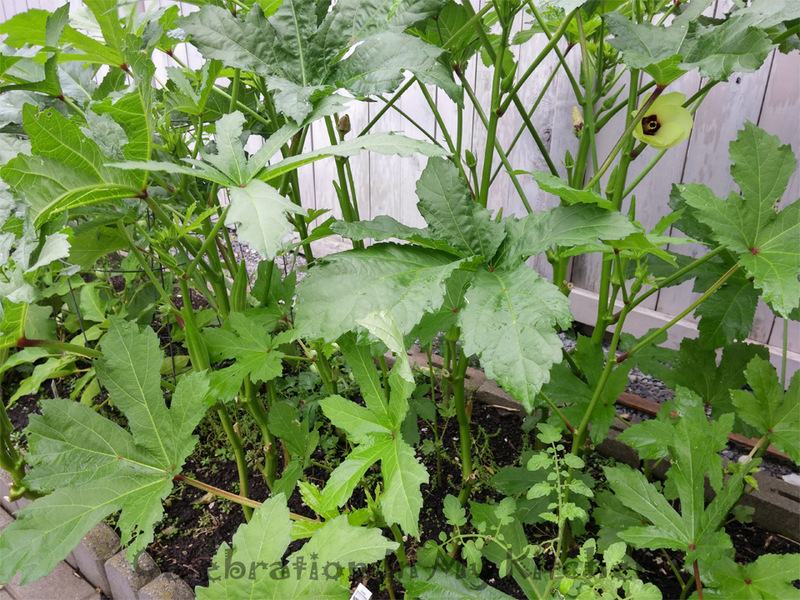 For information on how to select okra and its health benefits, click here. 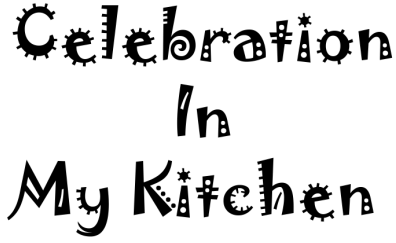 Slice 1 medium-sized onion, caramelize in 1 tablespoon of oil and grind with the above spices. The onion lends a nice sweetness to the masala. Do not burn the onion slices. The difference between this paste and my original recheado masala recipe is the inclusion of ginger, caramelized onion and the omission of tamarind. 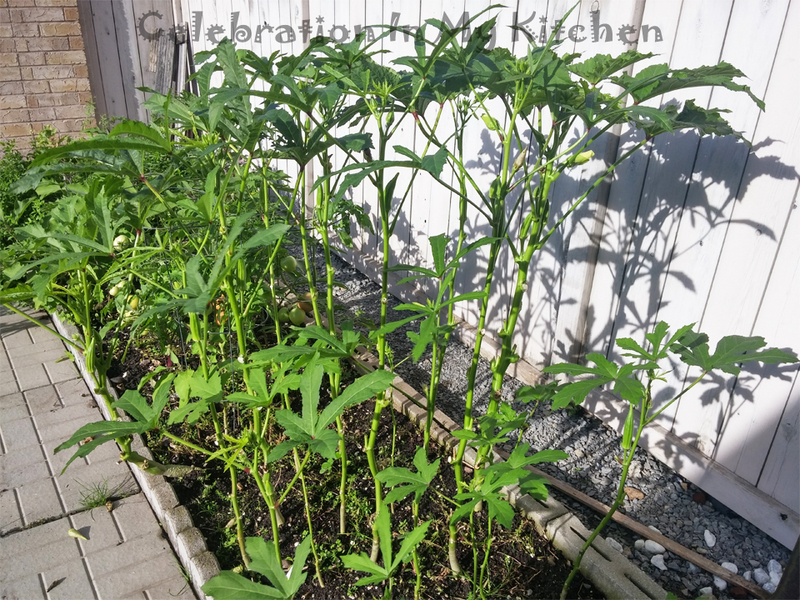 Wash okra, pat dry and trim off the ends. Slit each lengthwise on one side and season with salt. Heat oil in a pan or skillet, fry the onion till soft and then the ground paste. Lower the heat and stir in the prawns. Cook for a couple of minutes till prawns are done. Set aside to cool. 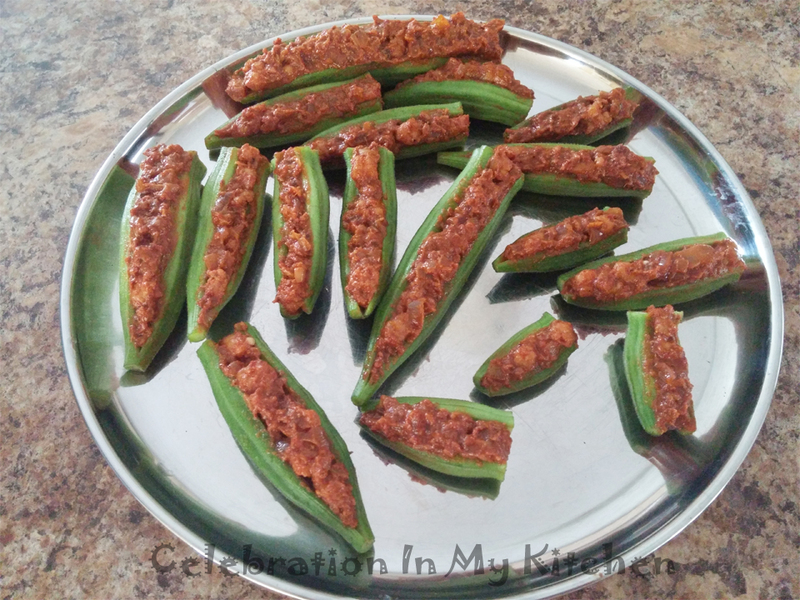 Gently open the okra and stuff with the filling. In a flat dish, mix the flour and breadcrumbs together. On medium heat, place a shallow frying pan with extra oil. 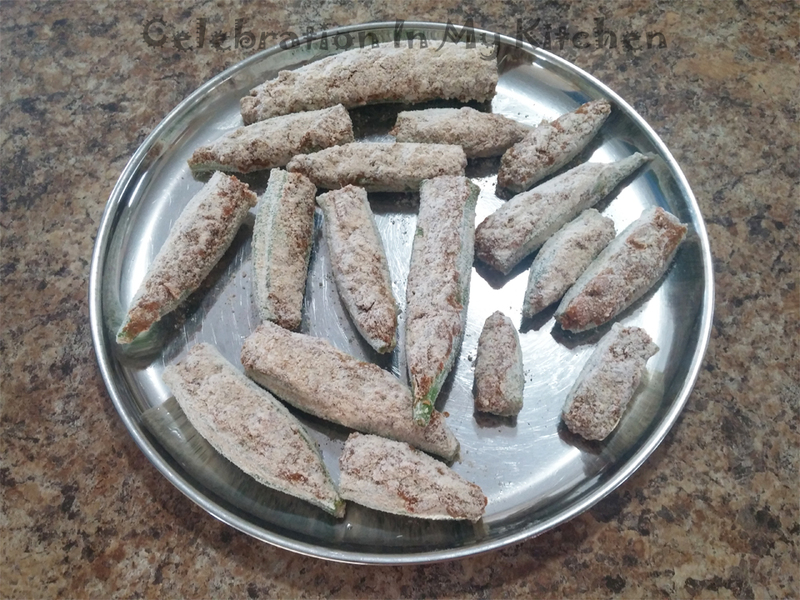 Dredge the stuffed okra in the flour-breadcrumbs mixture. Fry with filling side down trying to spoon hot oil over the okra on all sides. 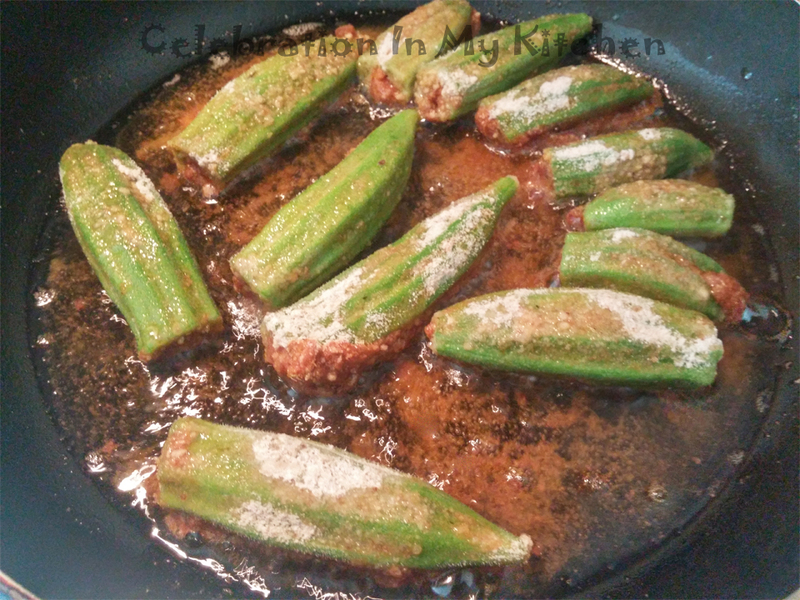 Turn when the bottom is brown and continue to cook till the okra is fried well. Drain on absorbent paper towels and serve warm. For a vegetarian option, omit the prawns and stuff with only the recheado masala. Saute the onion till soft, then fry the masala, cool and fill. Any extra filling can be served on the side. The ground recheado paste can be directly stuffed into large-sized prawns, mackerels, pomfrets or applied to the fish and fried.